I sometimes get into a rut and go to the same stores to shop, because I know right where to go to find what I like and I already have that expectation of knowing I’ll find what I want. But, I really do love going into stores I’ve never been in and checking out what they have, get a feel for their style. Last month I was out shopping with my mother-in-law while they were in town and I popped into Lou & Grey. I had been wanting to go in, but just hadn’t yet. So. we went in to check it out and it was so cute. 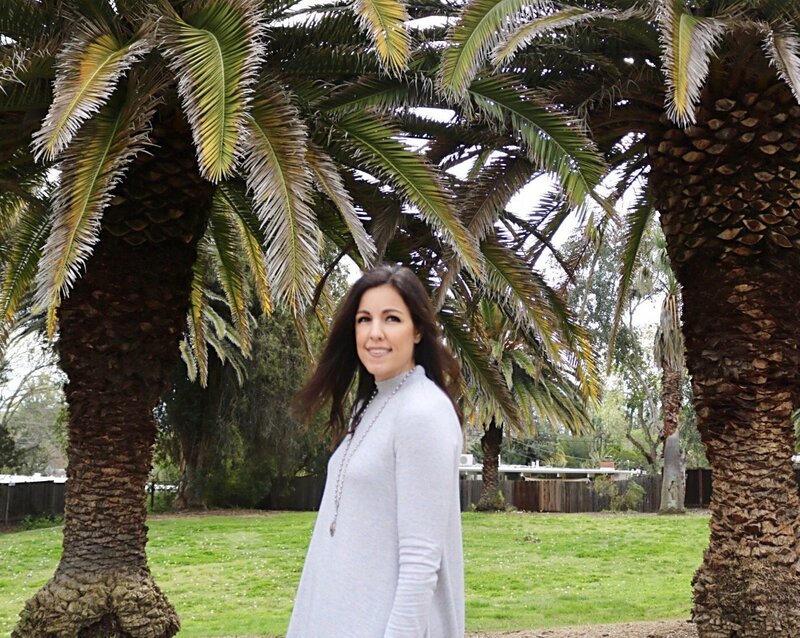 I found so many great things and this sweatshirt dress is seriously my favorite! I can’t even tell you how soft and comfortable it is. It’s the perfect piece to add to your closet because it’s great now for Spring with sneakers or a wedge, but also great for fall with a pair of boots or booties. Simple and cute outfit!! Love the grey and blush combo! Lou and Grey has so many great neutral items! I love this grey dress. So easy to style! This is a cute spring dress on you! 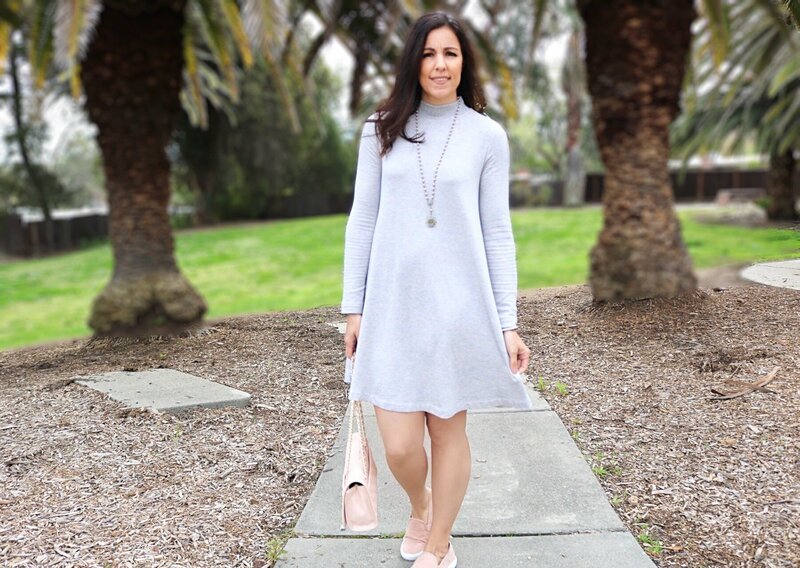 I love swing dresses too because they are so comfortable on and so easy to style! Thanks for linking up to the Top of the World Style party. What a nice flowy spring dress!